A product focused on the gig economy, a team steeped in expertise in the taxi-hailing space, and now US$1.2 million in seed funding. South African startup FlexClub seems set for significant growth. Formed in November of last year, FlexClub is a managed marketplace that simplifies investing in cars rented to people using gig platforms to earn a living. Essentially, it allows users to purchase vehicles which are then matched with Uber drivers who pay a weekly rental charge to the investor. 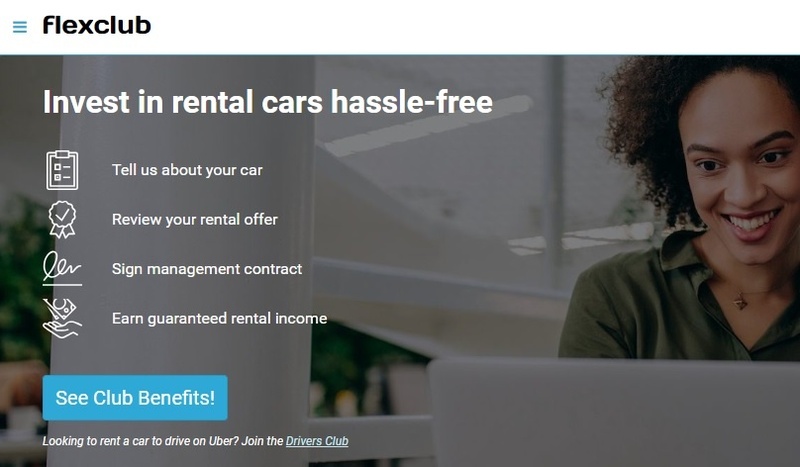 FlexClub offers Drivers Club members – like Uber drivers renting the cars – access to its market-first “Drive-to-Buy” package which empowers them with the flexibility to rent the vehicle until it is affordable enough for them to buy it. An interesting concept, and one that has been developed by a team with deep knowledge of the gig economy, especially in the taxi space. Rudolf Vavruch built DriverSelect, a traditional P2P car rental marketplace for the Uber ecosystem, while Tinashe Ruzane and Marlon Gallardo are both former employees of Uber itself. Ruzane was head of vehicle solutions for Uber in EMEA, while Gallardo was international launcher for the company in several Latin American markets. “We recognised that only a fully-managed marketplace could create a truly passive experience for people investing in cars, while ensuring the experience for drivers club members was reliable and standardised,” Ruzane told Disrupt Africa. This high-level expertise and understanding of the market has helped FlexClub raise some early funding. Disrupt Africa reported last month the startup had raised US$1.2 million in a seed round led by CRE Venture Capital and also featuring Montegray Capital and Savannah Fund. At the time, Mbwana Alliy, managing partner at Savannah Fund, said part of the startup’s appeal was the team’s valuable insights and expertise. “We also like that the company is able to tap multiple markets at once by having unique access to the Uber “data exhaust” as strong indicator of which markets have strong potential for their solution,” he said. Early uptake in South Africa has been “incredible”, according to Ruzane, with several existing Uber Fleet Partners turning to FlexClub to make their investment in vehicles hassle-free, and other prospective investor members fully believing in the idea of investing to “help plug the gap left by banks and set our Drivers Club members on their path to ownership”. The company has plans in other geographies and other verticals too, however. “Cars are our beachhead market given our deep experience in the ride-hailing industry, though we expect to eventually expand the categories of assets we manage,” said Ruzane. Meanwhile, the startup, which for now is only live in Johannesburg and Cape Town, is working on a launch in Guadalajara, Mexico in the coming weeks, in partnership with Uber and with Gallardo heading up operations in the Latin American region. The funding will help give FlexClub runway for further launches. Revenue-wise, FlexClub employs a conventional marketplace business model, charging a percentage of any transaction that takes place on the platform. This fee starts at 15 per cent of the rental income earned on a vehicle, depending on whether investor club members would like to carry risk or not. Though Ruzane said the startup did not want to disclose revenues or user numbers, he said it now managed more than US$3 million worth of assets on its platform in South Africa. The key to continuing success, he said, was recognising the importance of familiarising investor club members with this new asset class. “This is still new, so we have to keep focusing on making the average South African with access to capital more familiar with the idea of investing in moveable assets for rent,” he said.